I recently had an opportunity to attend the RBC Canadian Open at Glen Abbey Golf Club in Oakville, Ontario. I don’t know much about golf, so this was a wonderful learning experience for me. The golf course is beautiful and being a part of the crowd was really quite something, especially on such a beautiful day. While at the tournament, I had an opportunity to talk to representatives from the official charity partner of the RBC Canadian Open, Ronald McDonald House Charities (RMHC). Did you know that, by 2014, Ronald McDonald Houses will serve 20,000 families a year? And that since RMHC’s first house opened in 1981, they have served over 270,000 families of sick children? Their good work is certainly helping a lot of children and their families. As a parent with young children, in the back of my mind I’m always worried about the what-ifs of my children’s health and safety. What if they were seriously injured or became ill and needed to be in the constant care of a hospital facility? I would be there for my children day in and day out, and I would think nothing of sleeping in a chair beside their hospital bed so that I could be there for every little thing that they needed. But the reality is, you can only do that for so long and then you need to take care of yourself so that you can continue to be there for your child. That’s where RMHC comes in. RMHC supports the families of seriously injured or ill children. They provide a home away from home for parents while their child is being treated at a nearby hospital. It has been proven that sick children heal faster when they have their families with them for support and love. But there are so many children who are ill or injured and in need of their families, RMHC can’t keep up with the demand for support and space. Though, in Canada, they currently have 14 Ronald McDonald Houses, 9 Ronald McDonald Family Rooms and 1 Ronald McDonald Care Mobile, there is still more that is needed. The average cost to operate a bedroom in a Ronald McDonald House is $122.00 a night. But thanks to the support of McDonald’s and their many partners, families pay only $11 per night on average. Plus, no family is ever turned away due to their inability to pay. This strikes a chord with me simply because serious illness and injury are not selective based on socioeconomic status. And many families who may otherwise be fine financially can experience considerable financial strain due to leaves from work, decreased hours and pay, and increased child care expenses for other children in the family when one of their children is ill and in hospital for an extended period of time. 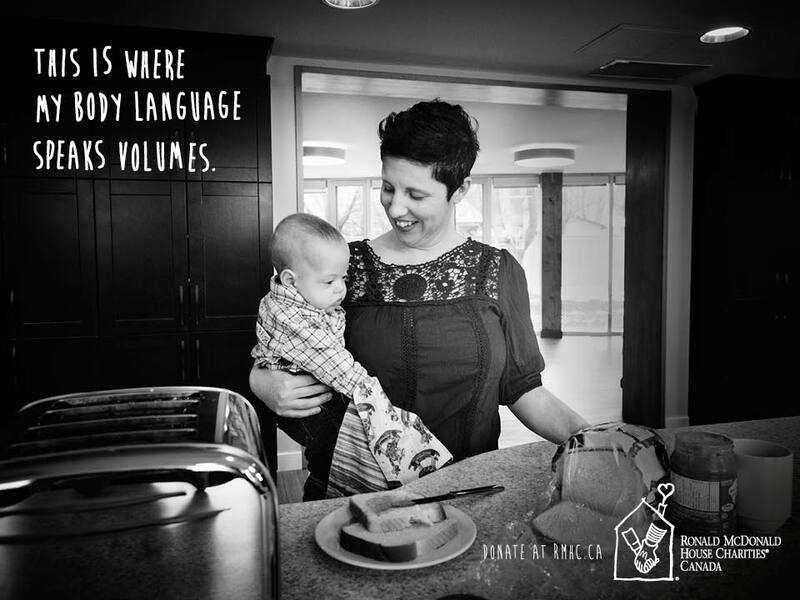 RMHC’s great work helps to ease this burden. As the charitable partner of the RBC Canadian Open, funds donated to RMHC will help families of sick children across Canada. 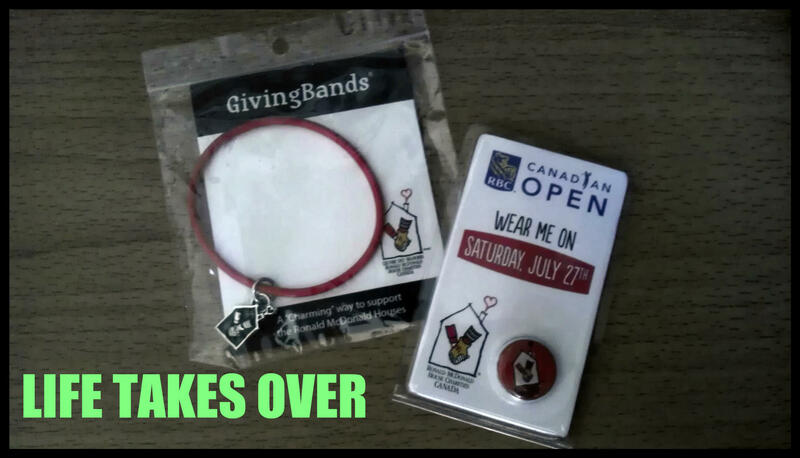 At the RBC Canadian Open, you can purchase a Giving Band and a Magnet to wear on your shirt on Saturday, July 27th in support of Ronald McDonald House Charities. And because it has been such a beautiful week weather-wise for golf, spectators are reminded to make sure they are drinking plenty water to stay hydrated. An easy way to make sure you’re getting enough to drink as you watch the game is to purchase a refillable water bottle from RMHC that can be refilled at the free refill stations throughout the golf course. Proceeds go to RMHC. To help sustain the good work that RMHC does, McDonald’s Canada donates 10 cents from every Happy Meal they sell to RMHC, and each year they host McHappy Day across the country, which helps children’s charities, including Ronald McDonald Houses. If you have an opportunity to get to the RBC Canadian Open this weekend, I highly recommend it. It was a great experience. And drop by the RMHC site to show your support. If you aren’t planning on attending the RBC Canadian Open this weekend, please consider donating to Ronald McDonald House Charities online. Your support allows RMHC to continue to support the families of seriously ill or injured children. This entry was posted in Uncategorized and tagged charity, family, glen abbey golf club, helping other, Kids, McDonald's, McHappy Day, Motherhood, RBC Canadian Open, RMHC, ronald mcdonald house charities, support on July 26, 2013 by Nancy.